The first human being and Prophet, Adam (pbuh) and his beloved wife / our mother Eve had taken a bite of a fruit from a forbidden tree upon Satan’s tricks and lost the test which resulted of them to be taken out of heaven. 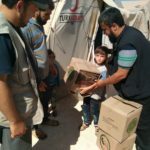 If we re-consider this event and think about it thoroughly, we may comprehend the importance of Halal Food for humanity. Allah had spoken to all believers and prophets in the context of verses (ayah) and ordered them to consume halal, pleasant, healthy and clean food and stay away from dirty, harmful and haram (forbidden) food. (Surah Al-Baqarah – 168) “O’ Mankind! Eat of what is lawful and clean on the earth” Allah (SWT) is alone the Sustainer of all creation and He has allowed His servants to eat any of the lawful things on earth and avoid unlawful things. Unlawful things are not only those prohibited by Allah (SWT) but even lawful things acquired unlawfully – by usurpation, by theft and cheating etc. And Allah (SWT) says: “And do not follow the footsteps of Satan.” i.e. do not follow the ways and methods with which he misguides people and follow only the way of Allah (SWT) which has been shown by the Prophet (SAW). “Surely he is your open enemy.” i.e. the Satan invites his followers towards sin and immorality so that they may become the inmates of Hellfire. (Surah Al-Baqarah – 172) “O’ you who believe! eat of the good things that We have provided for you and be grateful to Allah (SWT), if you only worship Him.” Allah (SWT) commands the believers to eat from the pure and lawful things He has provided for them on this earth, if they truly are His servants. Indeed, gratitude for Allah’s (SWT) gifts is an important form of worship. 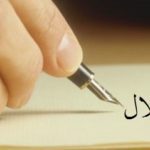 (Surah Al-Mu’minun – 51) O (you) Messengers! Eat of the Taiyibât [all kinds of Halâl (legal) foods which Allâh has made legal and do righteous deeds. Verily! I am Well-Acquainted with what you do. The last prophet, Mohammed (pbuh) took the matter of halal food / beverage very seriously and diligently. He (pbuh) made example of all the possible situations during his precious life. As a result, his legacy to us, the genuine sunnah applications has been the best guidance and enlightenment for Muslims. In 20th century, Muslims in abroad living in minority under non-Muslim rulings started searching and demanding halal food. Those Muslims had to make lots of efforts and pursue very hard to obtain halal food for themselves and for their kids. While Muslims were persisting on obtaining halal food, Jews had brought up kosher system. Without the adequate knowledge and experience on the matter, Muslims chose to consume the kosher food as a substitute of halal food. We could pronounce Muslims living in USA at the top of this list. Capitalist’s mass production and mass consumption life style became very effective and prominent. The western lifestyle / modernity started being imposed by its own channels to other nations, cultures and religious parties. This situation pushed the members of other religions to the pursuit of thinking and looking for ways to survive. However, lowering the cost and making more money turned into an ambition for many. Using pork related products widely on all production lines, using dead animals as much as possible, consuming more of food additives as a shortcut to achieve the financial goals, changing the hormones and modifying genes of organisms became the bad habit of Capitalist motivated industries. Eating / drinking habits changed, the traditions started diverging and fast food / junk food became widespread among generations. As a result of divergence from the common and natural life style had resulted with different diseases and its effects still continue to destroy humanity. Muslims as well as other religious parties started their quest to find a solution this widespread, accelerated destruction. The animals / birds are slaughtered by a Muslim slaughter man pronouncing Tasmiyah (Bismillah) and Takbir (Allah u Akbar). The animals / birds are slaughtered by a sharp instrument from the front of the neck. The throat (Mirren), windpipe Halkoom), and the two jugular veins (Wadijain) are cut in the neck causing the animal’s / bird’s death by bleeding without cutting the spinal cord. All the ingredients and materials used in the process of production of a product must be Halal. The products / ingredients are handled, manufactured and packaged under the highest standards of cleanliness and hygiene. 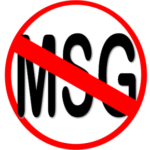 Contamination and cross contamination with any non-halal material, product / ingredient must be strictly avoided at every step of the production and distribution. The production, processing, storage, packaging, transportation, and distribution are carried out according to the protocol set forth by ISNA Halal production. Apart from this main organization in the United States a similar institution, IFANCA, continued working on Halal Food and certification. While Muslims living in United States working hard on Halâl Standards, in the Islamic world with majority of population being Muslims, Malaysia and Indonesia have pioneered the Halâl Certificate. Halal standards and specifications of these countries have created state interest in this work and these countries have put the regulations in place to make sure all imported products comply with state’s Halâl specifications. Universities opened Halal Products Research Institutes as part of their scientific and technical studies. Today their work still continues very effectively. In 2009, GIMDES organized an International HALÂL FOOD conference on 25-26th of April and Prof. Dr. Yakoop presented Malaysia Putra University and Halâl Products Research Institute. In his presentation, he revealed a device that was developed under their supervision that can detect the roots of the animal additives of a food by running DNA tests. As an umbrella organization, the World Halal Council, based in Jakarta has members from 60 countries. Indonesia-centric, this organization was founded in 2002. World Halâl Council holds annual meetings in different countries every year. This year’s conference will be held in China and GIMDES will be honored to organize 2010 meeting. All members of this organization embrace one “Halal Standards”. All the member organizations will accredit each other as part of the constitution. In addition to the main “Halal Standards”, member countries may have their own standards. The members are not identified under one unique logo. This is an international umbrella foundation based in Malaysia. Its target is to create a foundation which will be accredited by the United Nations, thus “ISO for Halal” will be recognized in local laws of world countries and be legalized. This foundation has sent an official letter to GIMDES asking it to be the founding member. This is an umbrella foundation established in Malaysia. They have their World Halal Standards available. They accept the countries accredited by Malaysia as their own members. They have a common network of operation. This foundation works more for the market of products with a Halal Certificate, thus lose its prestige to a considerable degree. The members thereof do not have a unique logo. 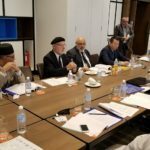 The studies of Organization of Islamic Conference (OIC), which has 57 Islamic country members, have been going on for several years and it strives to create a foundation accredited by standards. OIC Halal Standard Studies have not been finalized yet; they have been in progress for the past few years under the expertise of various countries. Turkish Standards Institute from Turkiye participates in these studies, and it does not allow non-governmental organizations to participate in these studies. Besides, these studies have been transferred to the Presidency of ISEDAK within the scope of OIC. The Presidency of ISEDAK works within the scope of State Planning Consultancy. OIC wants to establish a superior accreditation body. However, the difference in the governmental policies of the member countries is a hindrance to find a solution, and it provokes one to think that the accreditation body planned to be governed by states in the future may become the center of political clashes between certain states. So the Halal Certificate foundations around the world are somewhat in a mess. Logos, standards and viewpoints on events differ and they have various practices. Umbrella institutions have active roles in rectifying this messy situation. The halal certificate foundations in the world mainly work as foundations, association or non-governmental organizations. They do not work like companies or commercial firms. In return for the halal certification, these associations and foundations demand a certain amount of money to undertake these activities as well as ensure the continuity of them. 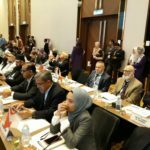 The chairpeople of the halal certification foundations in the world are mainly technical scientists or technical personnel. Each foundation has composed their own assemblies of scholars and jurisdictional bodies and they abide by the decisions and fatwas taken by them. Since issues of halal, haram, makruh and doubtful things relate to Islamic jurisdiction, these decisions are to be made by scholars. Technical scientists and jurisdictional scholars are supposed to make a harmonious study collectively in the issues of halal and haram. However, the people who take religious education and continue their studies in religious fields lack the knowledge of technology and its products, which take the whole world in its palm, due to the endless clash between schools and madrassahs which started in the last period of the Ottomans and continued to this day. On the other hand, due to not having been trained with curriculums that included at least one-hour-long serious religious content because the education tends to be utterly secular, the people who have committed 15-20 years of their lives to technical fields and have been trained in the technical fields lack islamic jurisdictional knowledge that is necessary for their daily affairs. Therefore these two groups of people have trouble in working harmoniously. Upon the collapse of Ottoman empire, there were lots of efforts from inside and outside to destroy religious life in the new born Muslim countries. These forces mainly attacked to the fatwa institution, the heart of Muslim life that regulates how a Muslim should live under Islamic ruling. During that period the scholars of knowledge were massacred by state’s execution. They were tried to be replaced by a new generation of state breeded scholars who would try changing the fatwas in a heart beat. In Turkiye, these movements came into surface around 1970s. There were quests to halal food before as well but not with fully conscious as needed. These movements started especially with the consumption of margarine and later carried on with the meat purchased from butcher shops. Relinquishing of habits like eating at every restaurant (trusting everybody regardless) and questioning the type of hair used to make tooth brushes started to become part of Muslim life. In 1986, the era that capitalism was moving very fast with mass production hence enslaving other non- industrialized nations, our quest to find a scientific explanation of “Is our food / beverage halal? Haram?” resulted with a book named “Food Report”. “Food Report” book helped greatly to open eyes and accelerated the awareness in the communities. Almost all communities, groups, communities started searching for a resolution. “Food Report” book made five editions and became a handbook for many Muslims who had consciousness on the subject. In 2003, “Food Report” book stepped into internet world via www.gidaraporu.com website. It has been visited by over 9 million visitors in 6 years period. This should be seen as a very important sign of awareness of our society. In 2005, the book and the website was considered as a big move to help our society to understand ‘halal food’ terms but it was not enough to make a big impact on the manufacturers and the food suppliers. As a result, G?MDES was born as an institution to achieve broader goals and put words into action. G?MDES is still growing and getting more powerful day by and growing with more 10 thousand active members. An international conference was held in Turkiye by the World Halal Forum for the first time in 2007. 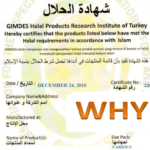 It caused severe reactions from media and society as it was asserted to tend to turn the matter into perpetual profit for the Halal Certification and could never emerge since then. GIMDES (Association For Inspection and Certification Research Of Food and Supplies ) organized two International conferences on Halal Food topic on 02/24/2008 and 04/25-26/2009 dates which led to significant developments in and out of the country. These two conferences have been covered extensively in the media, broadcasted live by one national television in Turkiye and have received tremendous impression by society. 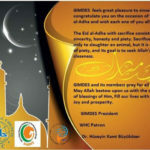 GIMDES, founded in 2005, became a member of the World Halal Council in 2009, which has members in nearly 60 countries, and was accredited by this institution. GIMDES has started issuing “Halal Certificate” to exporting companies after the conference in April, 2009. At present, applications from more than 25 firms have been received and 10 firms’ certificates have been issued after thorough investigations. 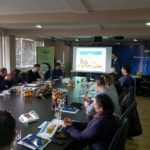 GIMDES has launched the hands on training program in order to train “Halal Certificated Inspectors” and “Halal Certificated Butchers” to be evaluated in the dealing with the suggestions prepared in the understanding of the subject. Under the leadership of GIMDES, a halal food platform was established. This platform has been informing communities in different parts and cities. It organized numerous conferences and seminars and lots of interviews on TVs, radios, newspapers and journals. GIMDES is an institution which was welcomed by Turkish Muslims because of its sincerity and religious sensibility. The reason for this regard and recognition towards GIMDES is that GIMDES has been supported by sincere Muslims whose only loyalty is to Allah’s orders and “halal food” and who constantly observe their lives to abide by these regulations. This 25 year-old sincere and patient movement, besides many positive developments carried by its own body, causes many institutions and establishments gain awareness and to take these matters very seriously and share the results with the society. GIMDES has created the splash and wave effect similar to what stone would make when dropped into pool of water. Each of these institutions, manufacturers, consumer organizations, foundations and associations which are interested in subject have established food commissions separately in their bodies and continued their works. “Health and Food Safety Movement” is carrying on its efficient works in this subject. They are enlightening the society with their web sites and press releases. Furthermore, all academicians and experts in Islamic Law in Theology Faculties handled the Halal Food matter for the first time in the 6. advisory meeting in 3-4 of June in 2009 and discussed the matter during the whole meeting. This is an important and joyful development in terms of providing support to these meetings. When the matter is Halal Certificate, it bears a great importance. It necessitates the present system to be reviewed and to be reordered according to laws and rules of Islamic Jurisdiction. It is certain that when these rules and laws are observed, rather serious establishments will occur and they will respond to the needs of all Muslims, even all people.